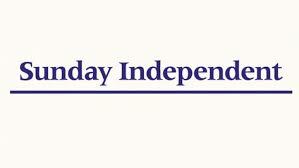 HOME / News / Reviews – thank you Sunday Independent! I think every writer approaches reviews with a certain sense of wariness – after all, not everyone likes the same things and that’s probably just as well. I often think of myself and Mr H here – we are a divided house when it comes to music at times – of course we both love the classics, but he’s very definitely a love song man – he’ll transfer all his favorites to the piano – where as I’m still apt to dance around the kitchen to the Cure, the Doors or Radiohead! So it is with Books – there are some we love, some… not so much! A couple of weeks ago a review for my latest book in paper back (Secrets We Keep) was posted in the Sunday Independent – as always, I approach with care – BUT I DIDN’T NEED TO….. It turns out they really liked it! My thanks to everyone who’s read the book so far, and especially thanks to all who come back and say they’ve read and enjoyed it – that really does make my day!